2.1 million square feet of office space is currently under construction in downtown Vancouver, the equivalent square footage of the Empire State Building. Demand for commercial real estate reached near-record levels in the first half of 2013 spurred by a lack of premium properties and demand for transit adjacent, downtown office space, according to a report from commercial real estate services firm Avison Young. Overall activity was higher in 2013 than previous years, boosted by several significant transactions in the second half of the year. Bob Levine, principal at Avison Young attributes the up-tick to growth in demand for downtown Vancouver office space across many sectors. Commercial real estate lease rates per net rental per square foot. Compiled by Avison Young for year-end 2013. 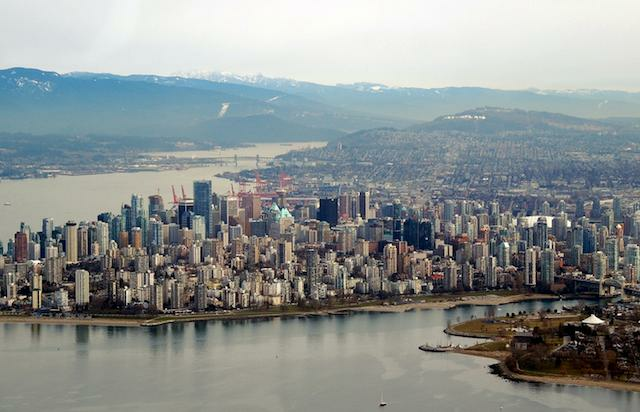 Vancouver’s office market kept calm through 2013, but the report predicts a flurry of activity in 2014 as inventory currently under construction comes online. More than 2.1 million square feet of office space, the equivalent of the Empire State Building, is currently under construction, with an additional 3.5 million under construction around the region. Demand for retail space also remained strong, but premium properties, of the same caliber as Pacific Center and Oakridge, are in short supply. Compared to years prior, overall sales of retail properties are down, but the report predicts the volume of sales to remain steady as strong demand from American retailers for a Vancouver presence persists. Industrial real estate saw the biggest post-election boost, as business confidence surged from May onwards. Industrial land is still in short supply and despite millions of square feet of new space, vacancy rates remain among the lowest in the country. Multi-billion dollar infrastructure projects, such the $1.3 billion South Fraser Perimeter Road, have already kickstarted construction on new logistics and distribution facilities.